Blogfinger post goes viral, but we have no idea why. 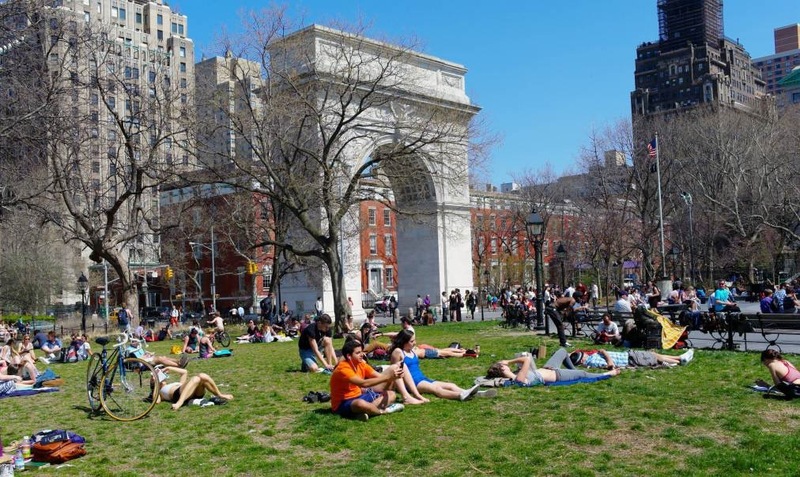 This image of Washington Square Park from 4/9/13 attracts viewers in 2015. Paul Goldfinger photo. NYC Street Series. © Click to enlarge. Re-posted from 2015. On Sunday, September 20, 2015, our stats shot up as 2,300 visits were recorded on Blogfinger. In checking the breakdown of direct hits aimed at particular posts, nearly 600 were linked to a photograph posted on April 9. 2013. It was a photo of Washington Square Park in Greenwich Village, and the title was “80 degrees in April. NYU students flock to Washington Square Park.” The song was by Lady Antebellum called “Downtown” from their album Downtown. Today, Monday, September 21, 2015, we had 2,000 hits, and the day wasn’t yet over. The visits to that same photo were over 300. Maybe someone at NYU was searching the Internet for photos showing student life on their “campus.” Whatever!! It’s fun when the Internet delivers a nice surprise. Possibly due to Facebook. If you look at the original post, the Facebook button indicates 1 share. Someone with a lot of curious friends might have shared the post on Monday or it could have been reshared by one of the friends which wouldnt register on BF. Thanks Tom. I never know how many people view my Blogfinger posts on Facebook because FB posts our Blogfinger articles on our Facebook page without providing a link to the BF website. Their readers view those posts on Facebook itself. So none of those who view us on Facebook are ever counted on the BF site.